This is photo #18 (of 50) in a series about our life in Brazil. There are many fast food restaurants here, but they are strangely empty during meal times. (They are jam-packed at nighttime when people want to go out for a snack and conversation.) 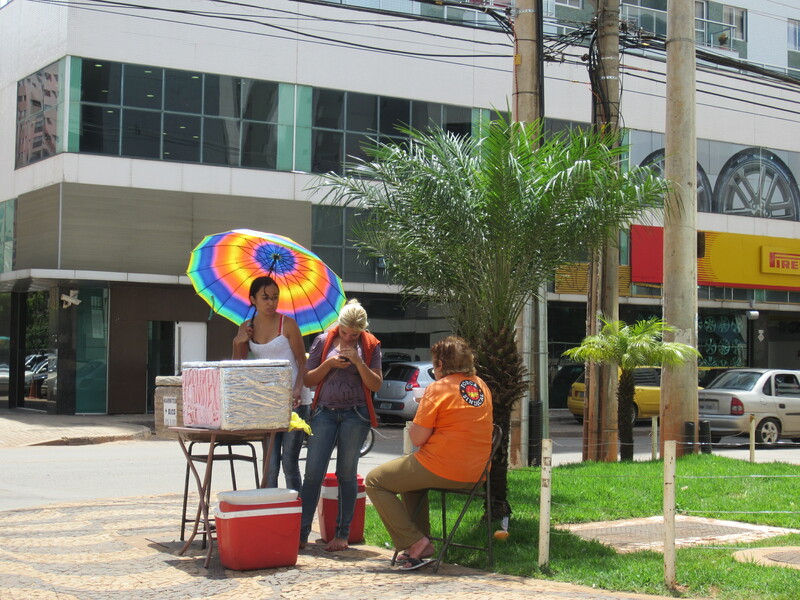 Since fast food is not considered “real” food, a common sight in many neighborhoods is street vendors who will sell a hot lunch for $2 to $3 U.S. that includes rice, beans, a small piece of meat, and a cup of fresh juice. These gals are stationed beside the mall with their coolers and styrofoam containers.